The Agilist’s Guidebook- A Reference for Organizational Agile Transformation, this workbook is for all Agilist who choose to enable organizational agile transformation. Competitive pressure and fundamental changes will remain the hallmark of the business environment. Thus the need for new and upgraded skills will continue. Lifelong learning is not simply an educational concept; it is a business necessity. This workbook has emphasized pragmatic challenges we come across during agile transformation and how we can fortify ourselves to surmount all these challenges. This workbook consists of five distinct areas like Organizational coaching, the overall mindset of the team members, Leadership capability, Building a high-performance team, Organization development (Structure and Culture). These five pillars are five elements of the Panch Bhoota Model. If these five elements are not purified or malfunctions,we become ill. As an organization is not a machine, it is an organism, leaders have to take care of these five elements by learning about them and strengthening these elements so that the organization does not get affected by a foreign threat, much like a virus or a bacteria. The political, economic, social, technological, legal environment can threaten an organizations survival. When the organization is stable in these five elements, it can cope with any challenge thrown by the external environment. This workbook will feature some of the challenges and approaches in handling these areas. This workbook will guide the reader to evaluate their present skills and take action wherever improvement is desired. The author has highlighted many Mindmaps, checklist, thought-provoking questions for the readers to reflect on and take action, and has emphasized many case studies in this book to make the book practical for the reader. The author had shared many theoretical concepts for the reader to do further research in and enhance learning in those areas. This workbook is a compendium means it is a compilation of concise but detailed information about a specific subject, in this case, Organizational Agile transformation. 1. Book which illustrates Coaching, Leadership, Mindset, High-performance team and Organizational challenges under one umbrella? 2. Book which talks further about People aspects and fewer about Process? 3. Book which alone speaks about Organizational Agile Transformation Challenges and feasible solutions? 4. Book which speaks about real-time transformation challenges? 5. Book which is higher on graphical and less on text? This books is for all Change Agents e.g Scrum Master, Project Manager,Product Owner, Sr Leaders etc. 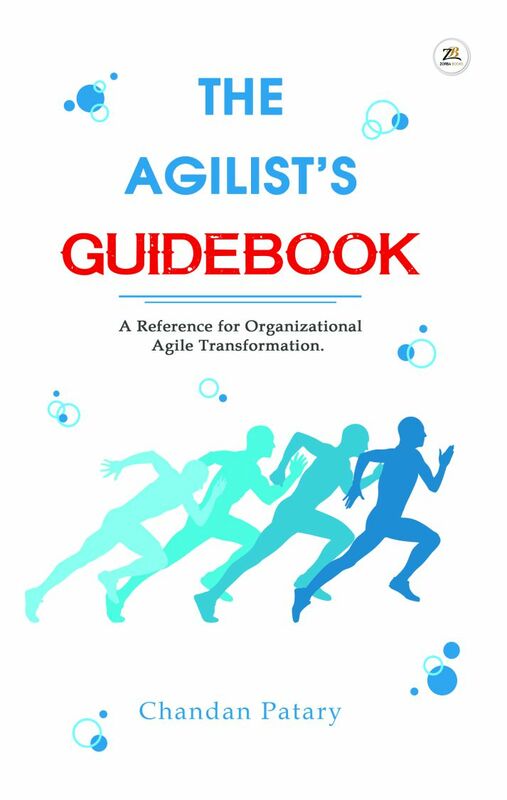 The Agilist’s Guidebook: A reference for Organizational Agile Transformation.